Owned and shown by Anne Howell. Judge: Mrs Gail Buckley (Vic). 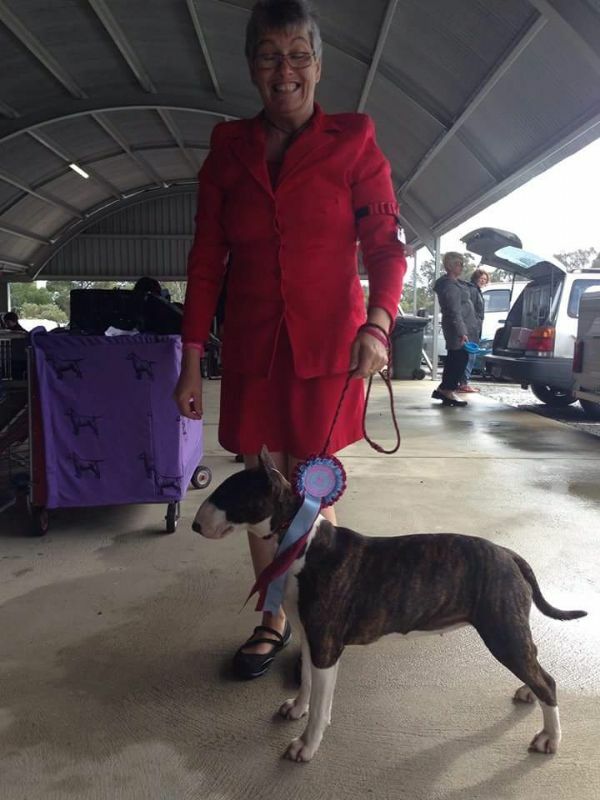 Owned by D McLachlan and shown by Vanessa Castlemaine. 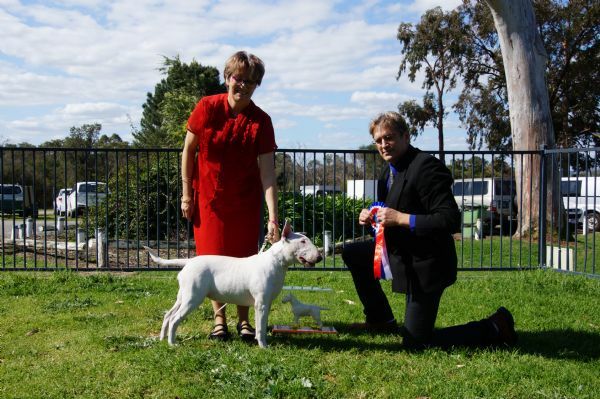 Owned and shown by David & Carol Comtesse. 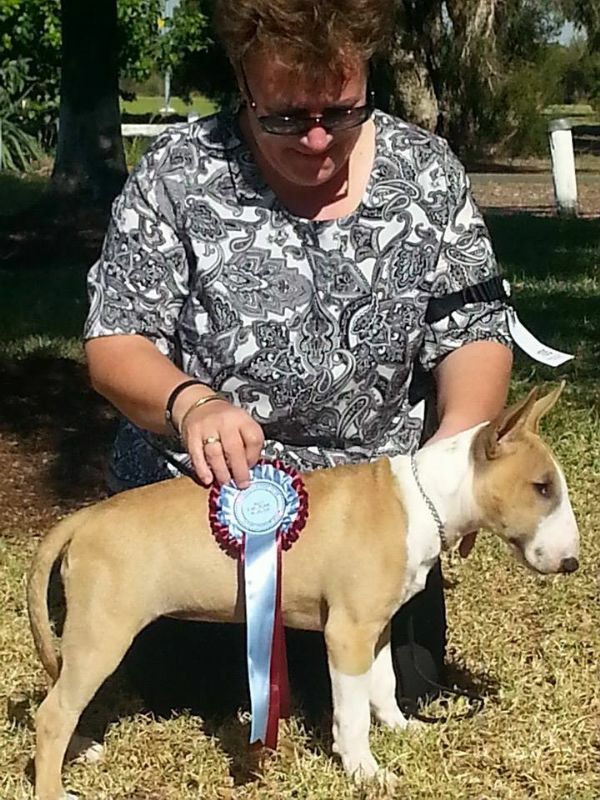 Owned and shown by Lisa Lovett. 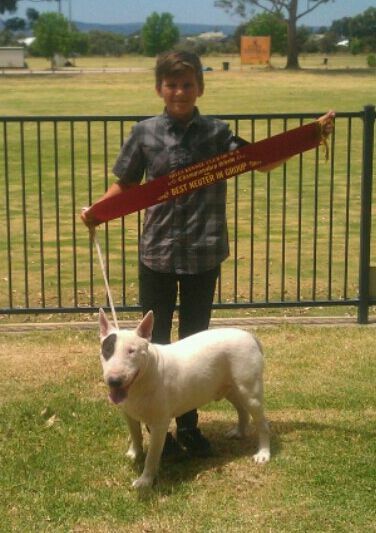 Owned and shown by Bradley & Shaye Ralph. 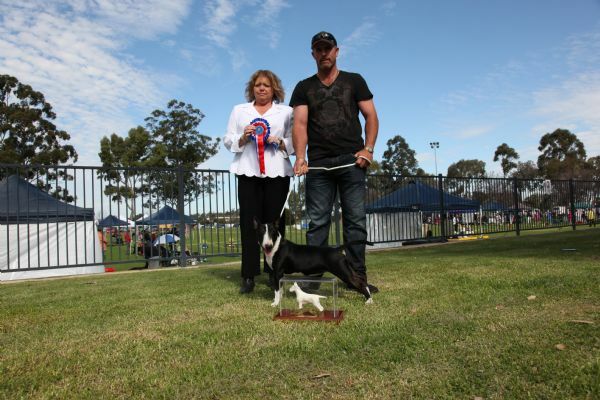 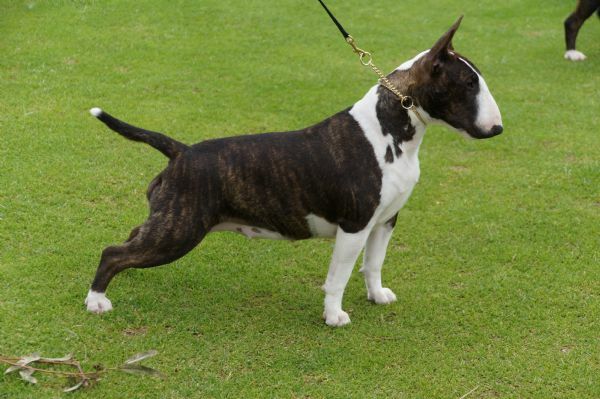 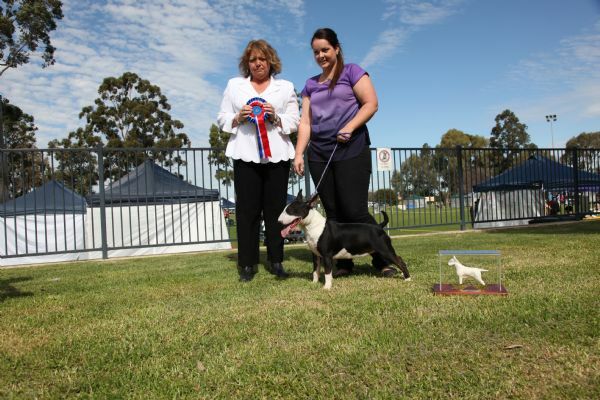 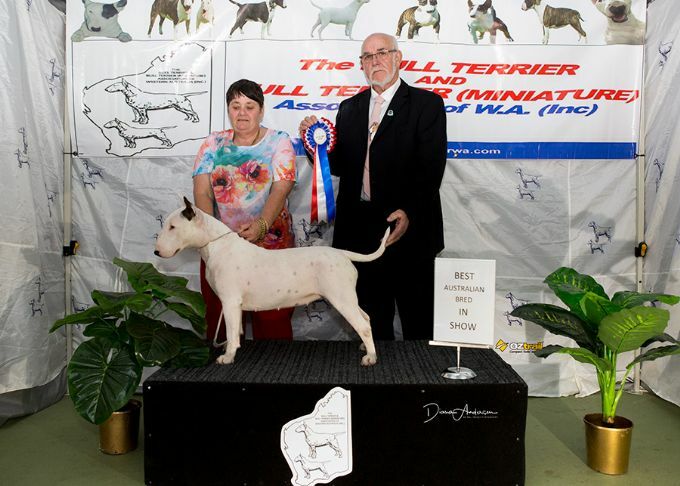 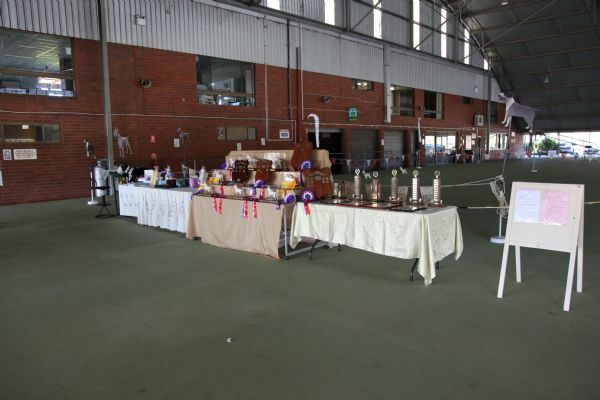 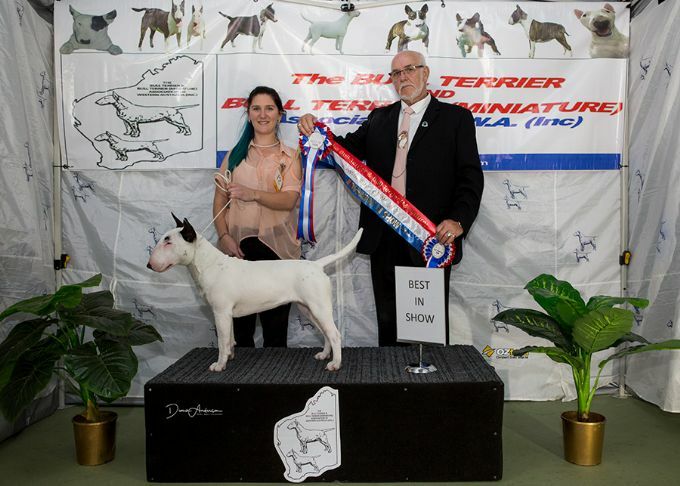 BEST IN SHOW - BTM KFS APHRODITE (Sire: Ch Starmin Clash of the Titan. 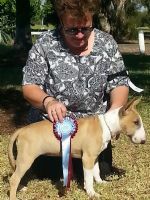 Dam: Starmin Sierras Spice of Life) Owned and shown by Anne Howell. 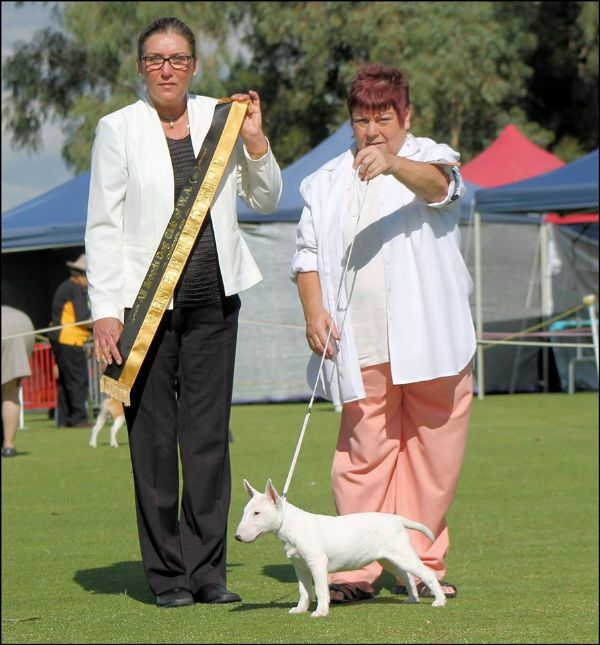 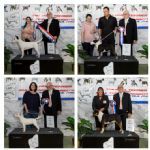 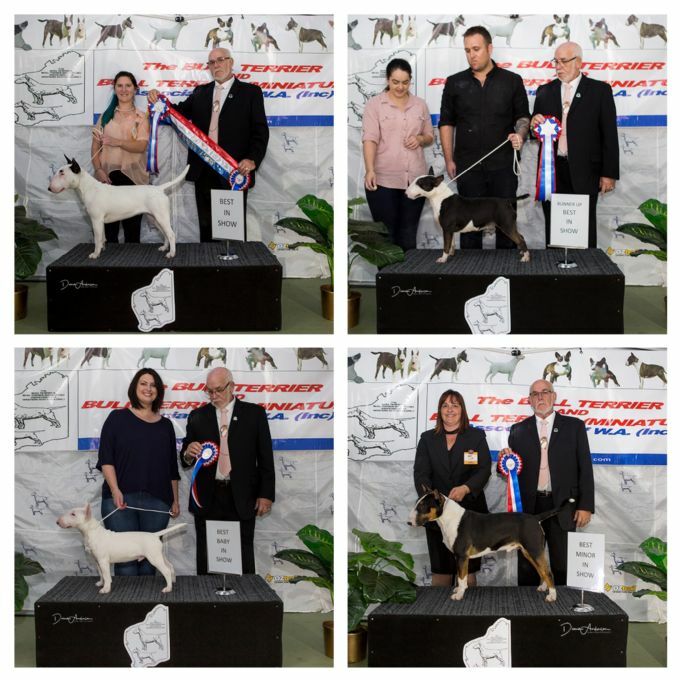 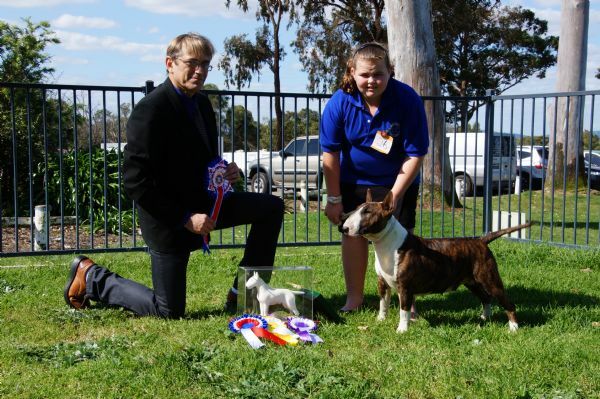 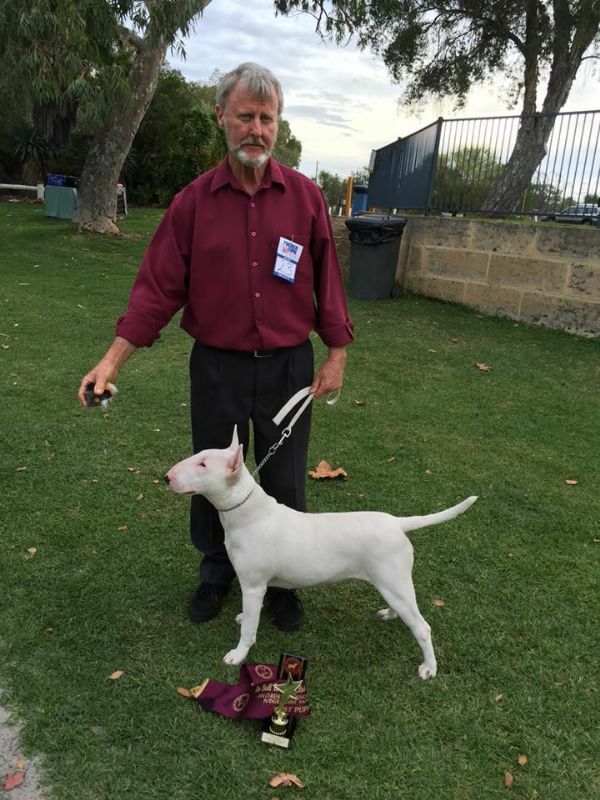 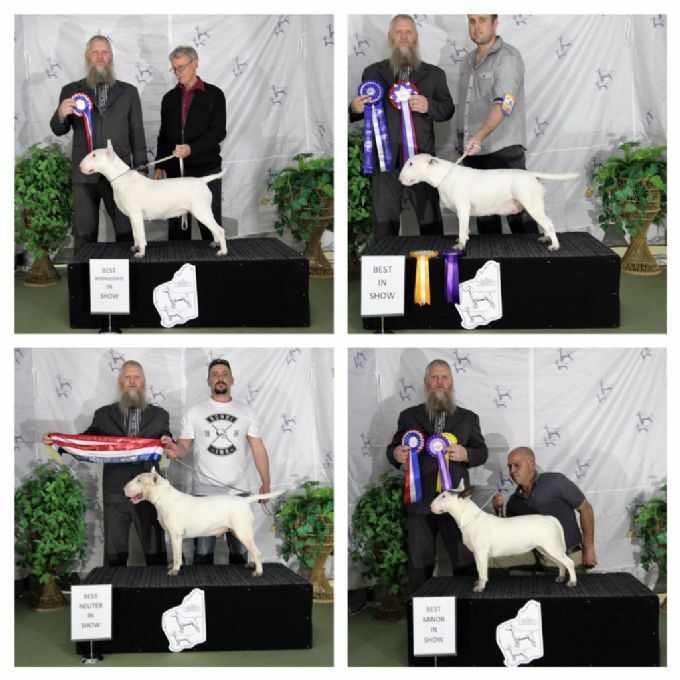 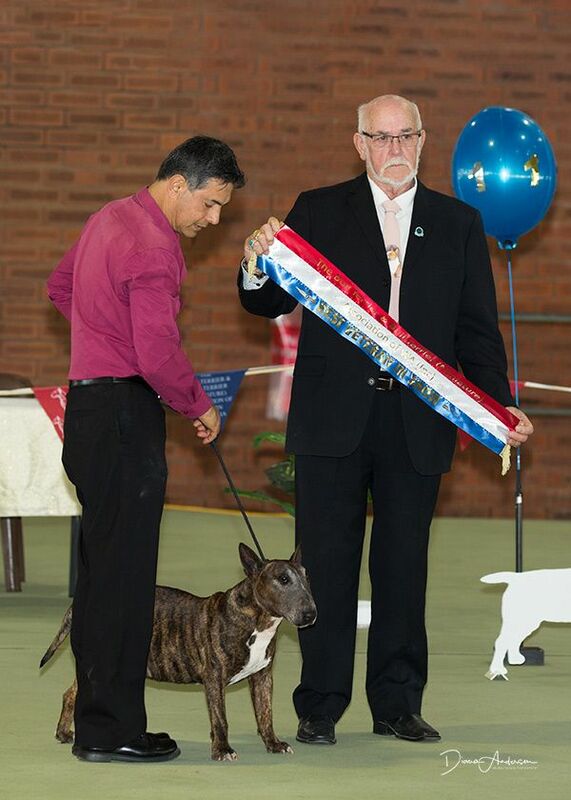 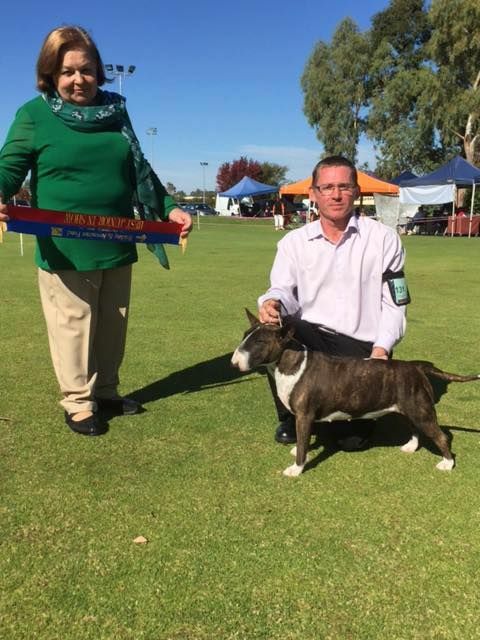 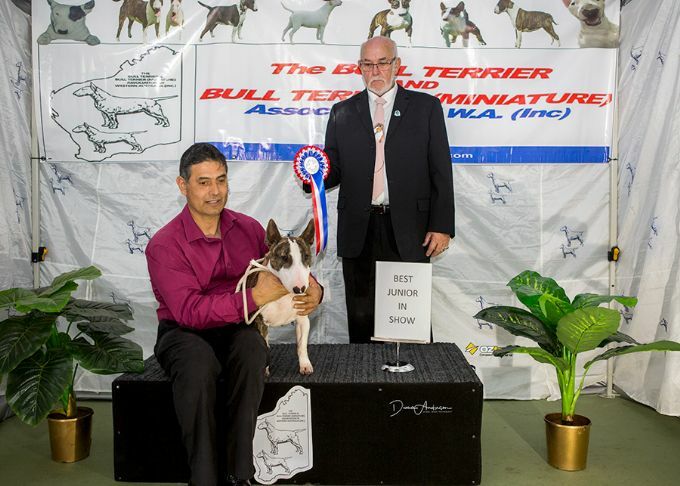 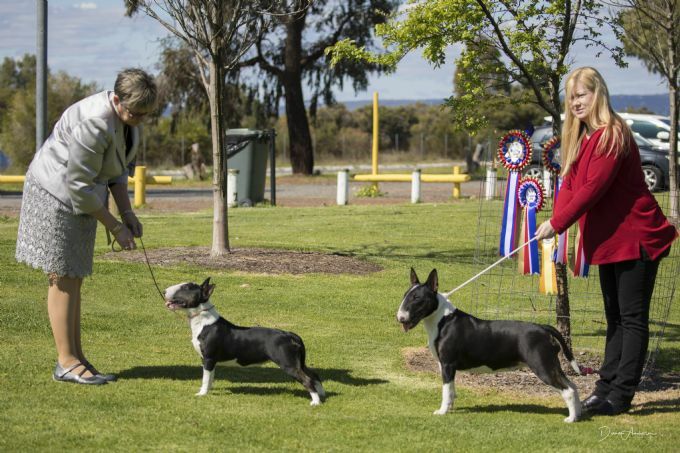 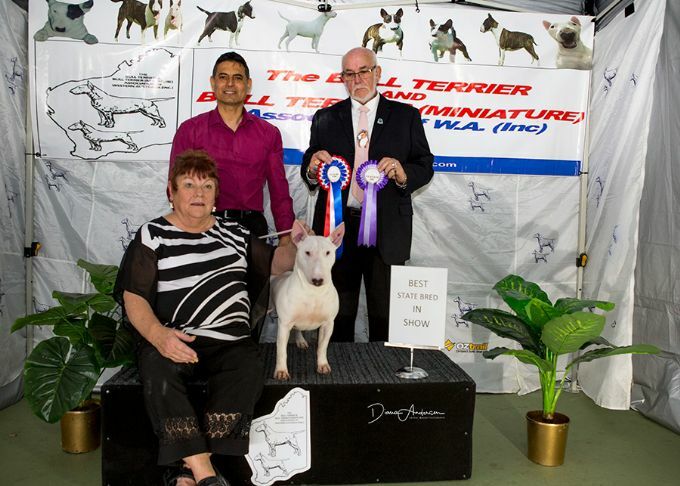 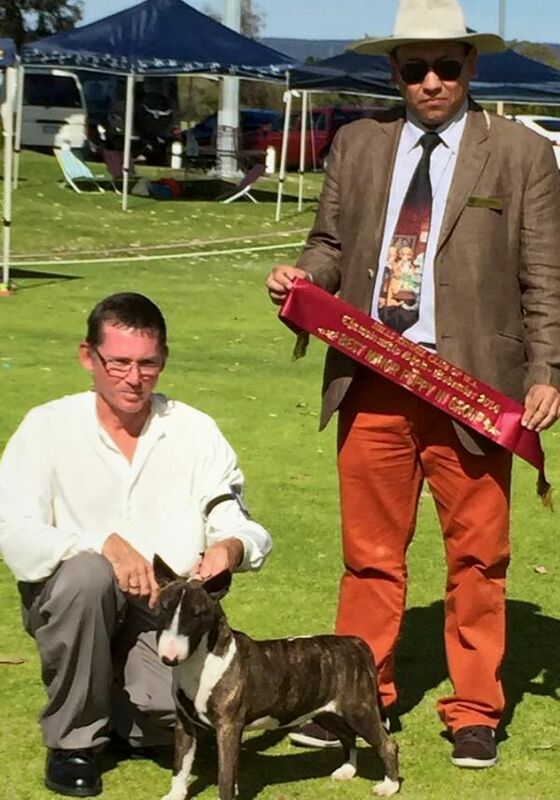 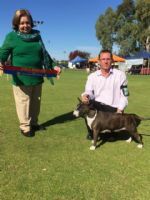 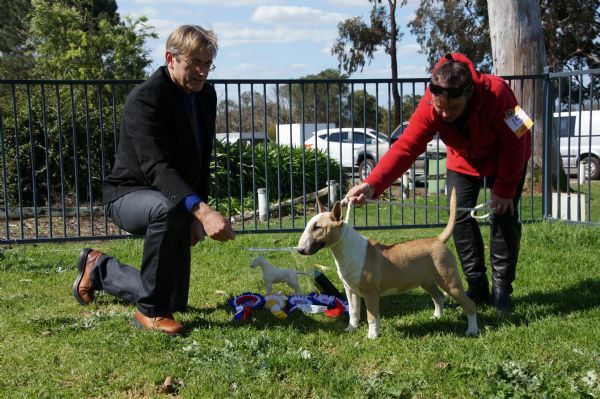 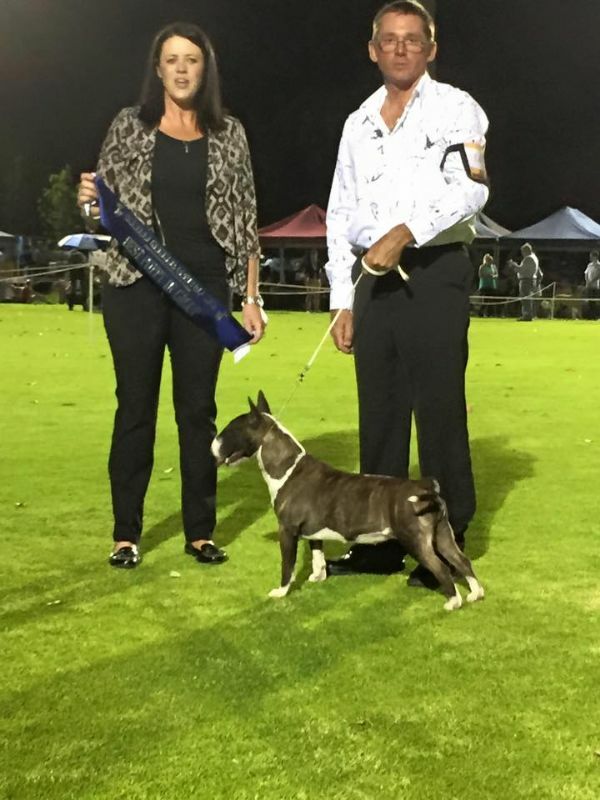 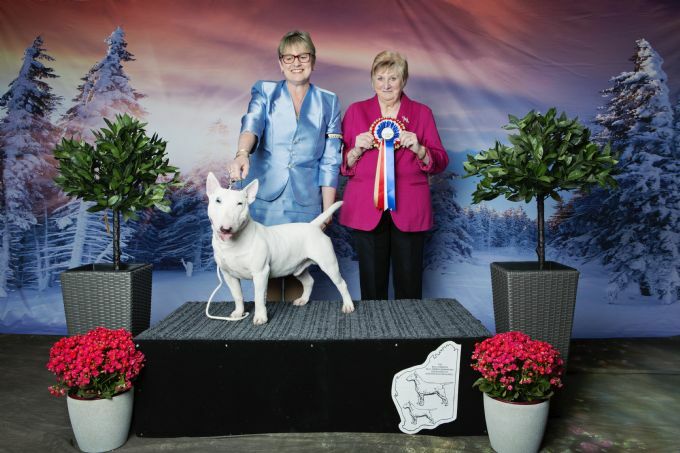 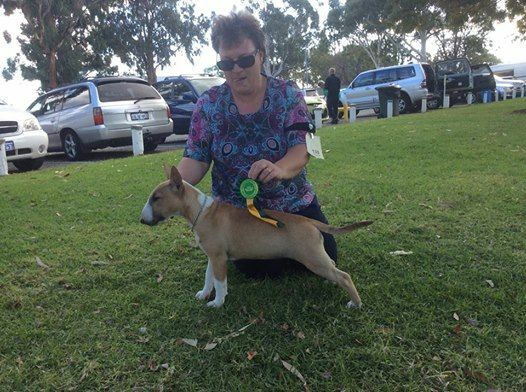 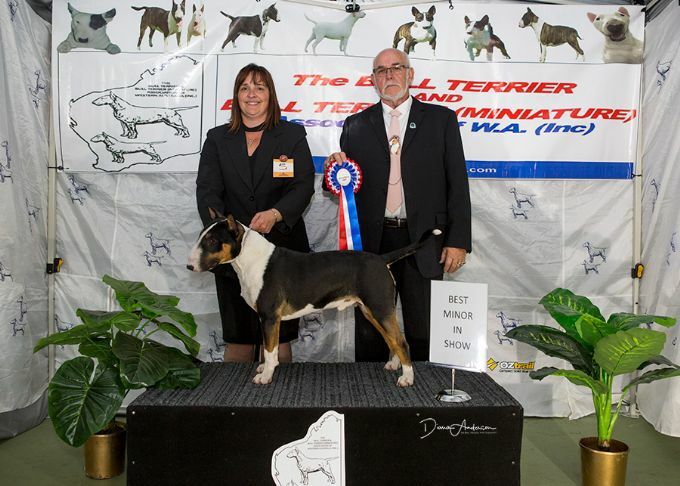 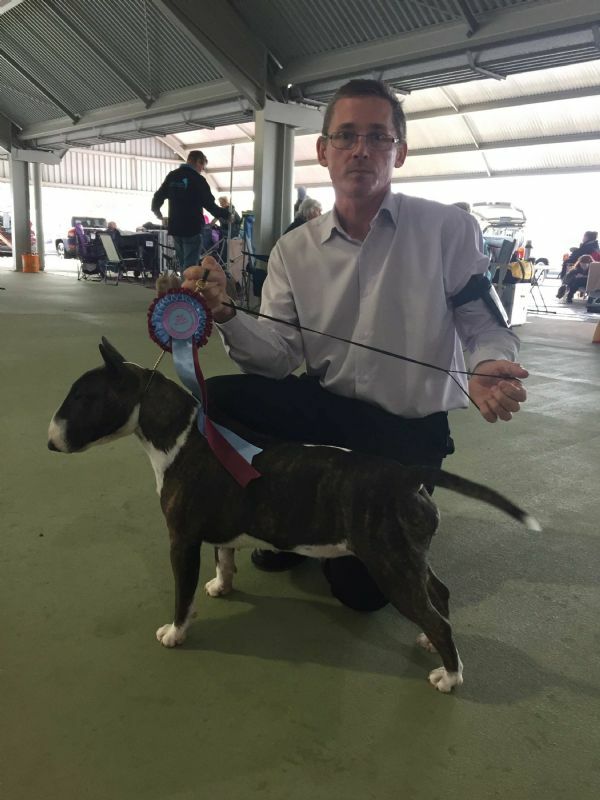 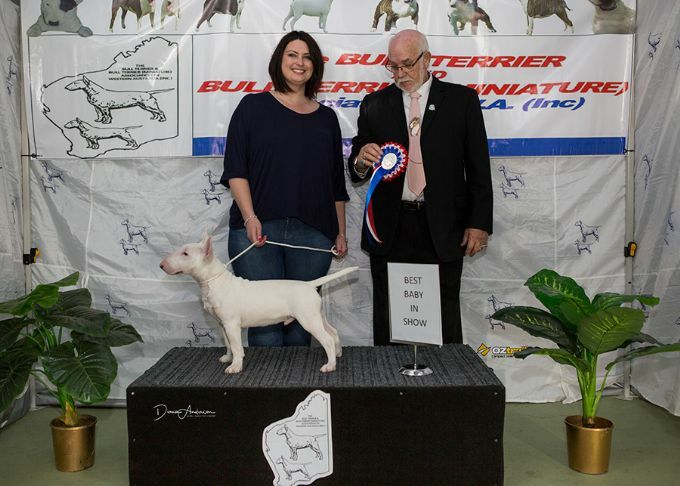 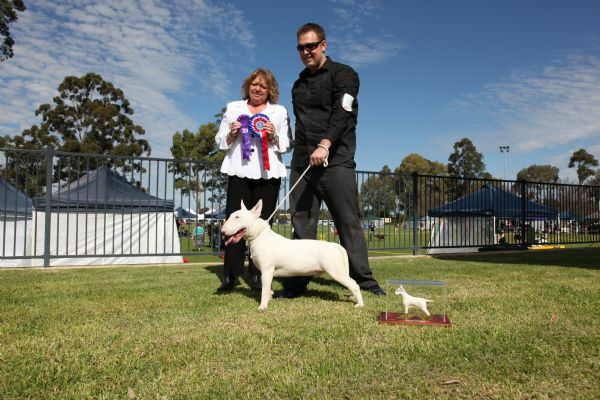 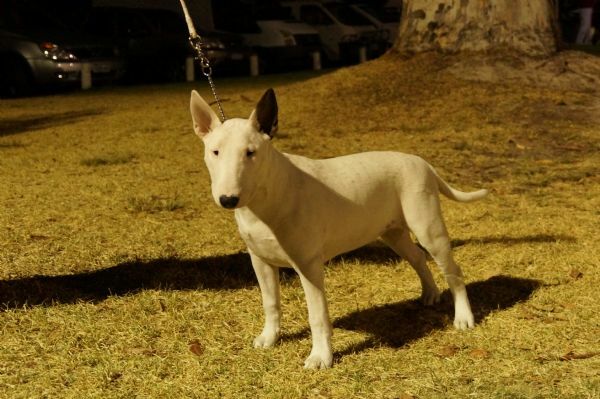 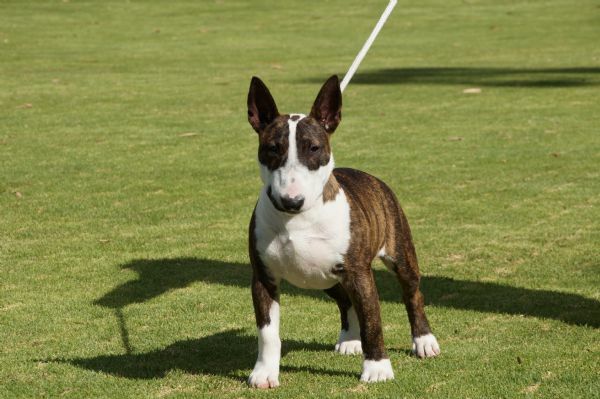 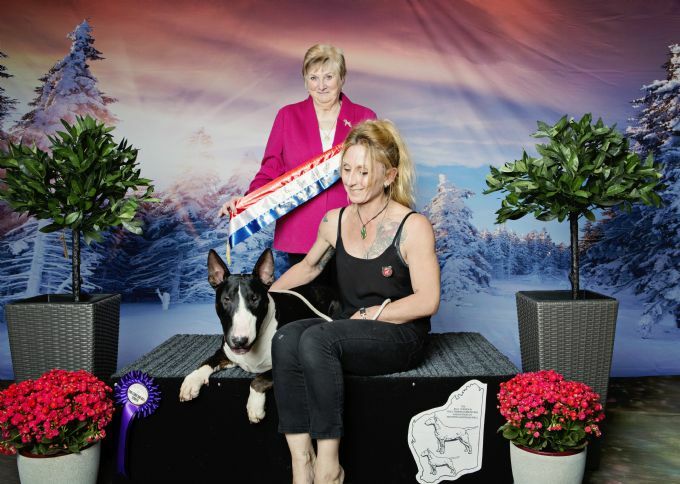 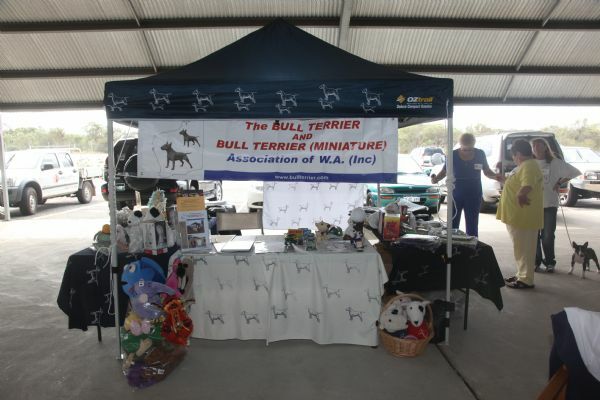 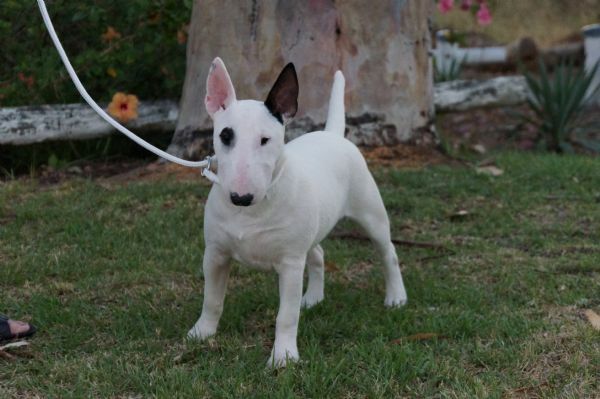 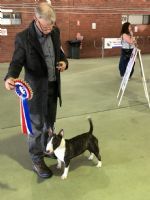 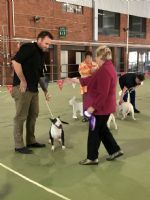 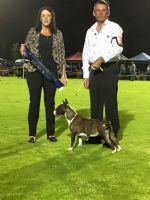 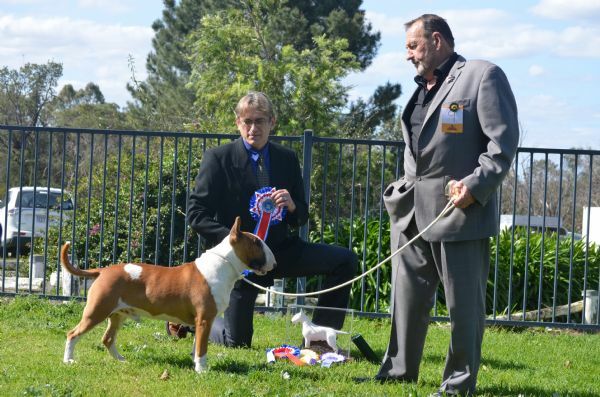 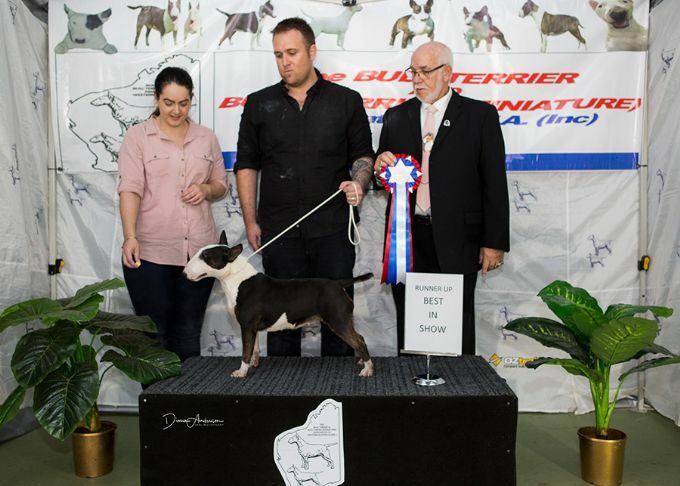 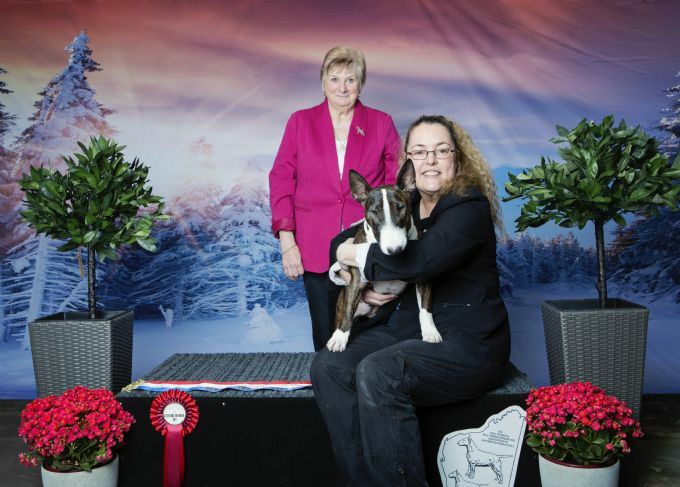 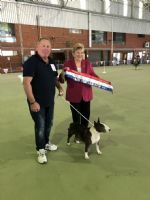 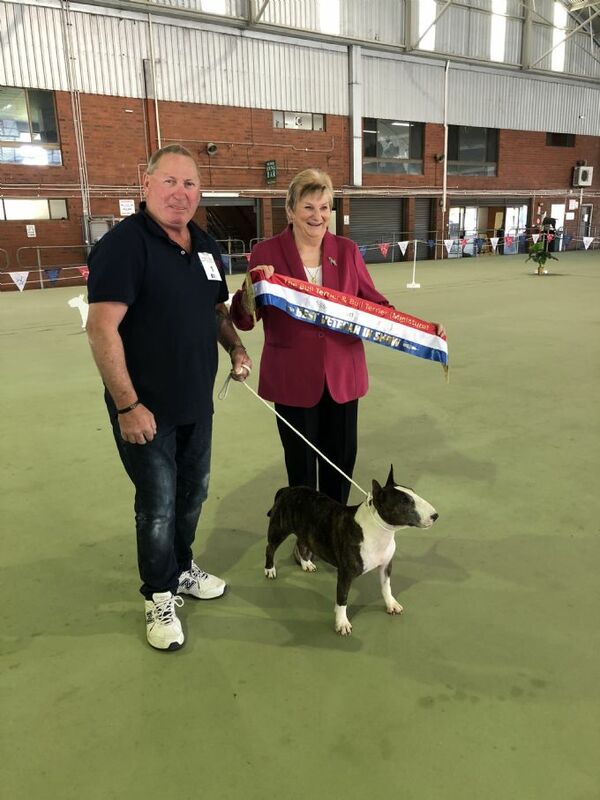 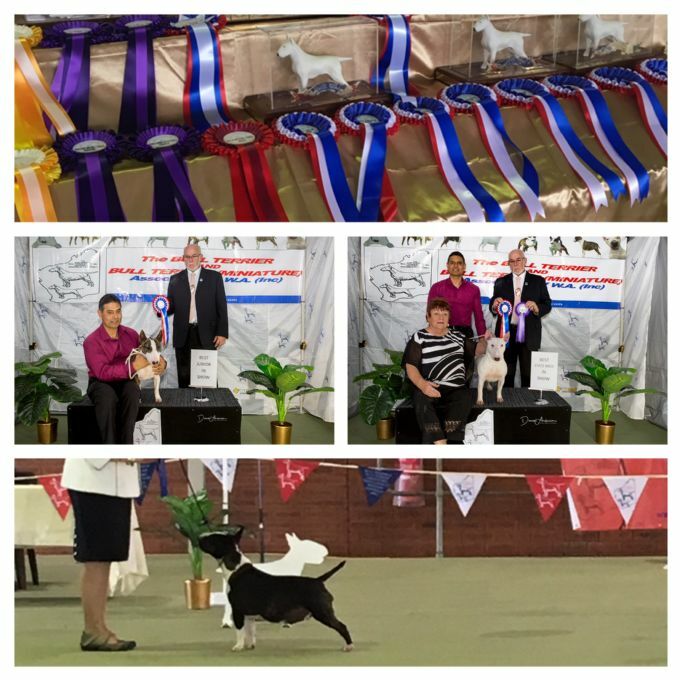 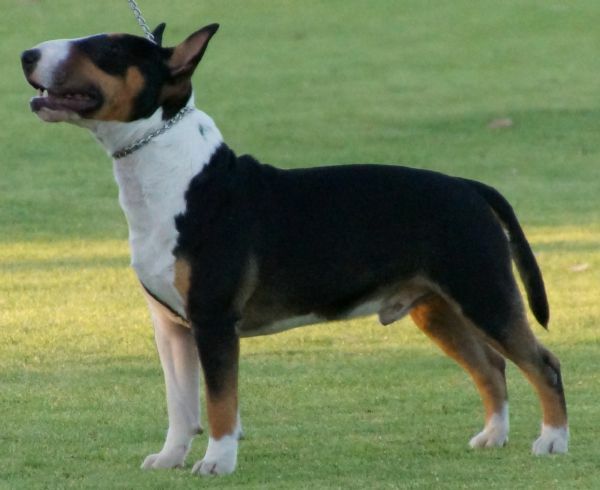 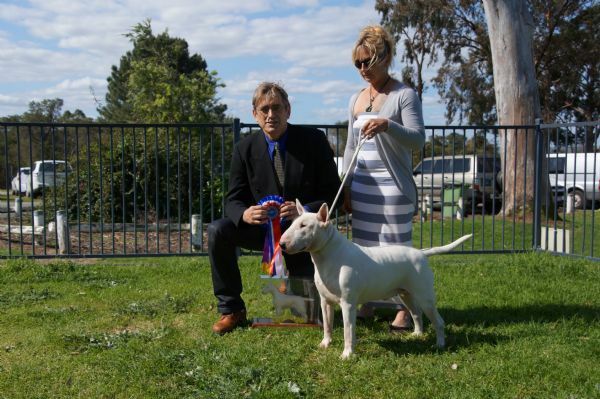 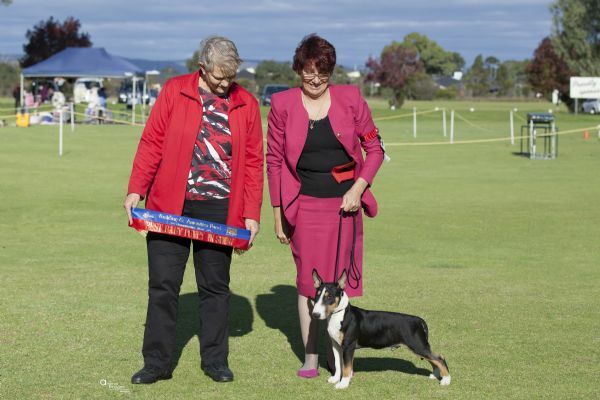 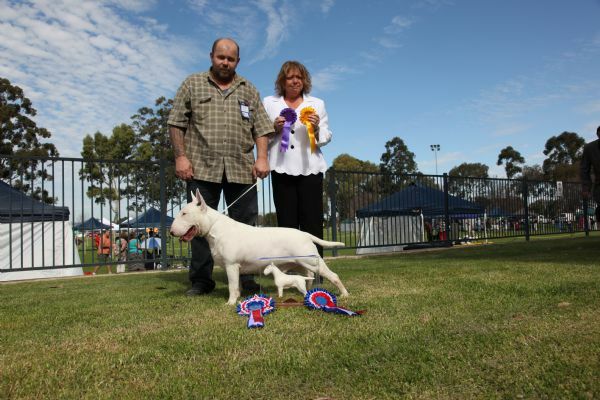 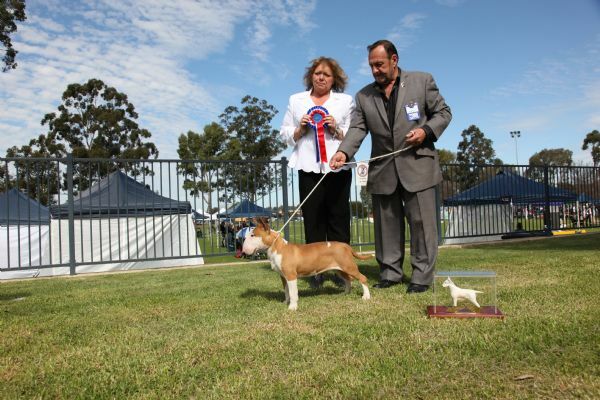 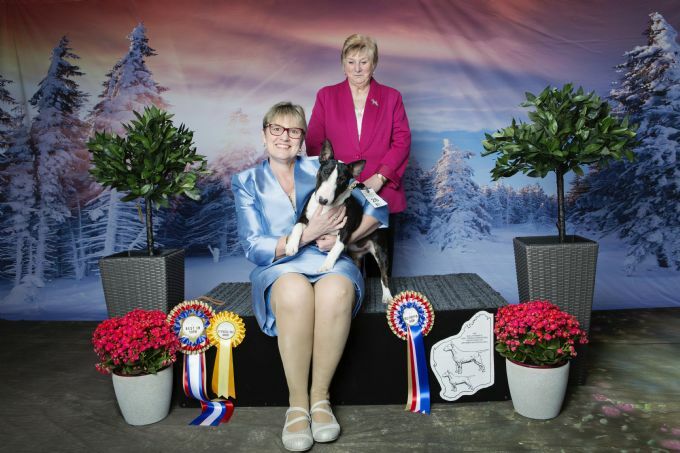 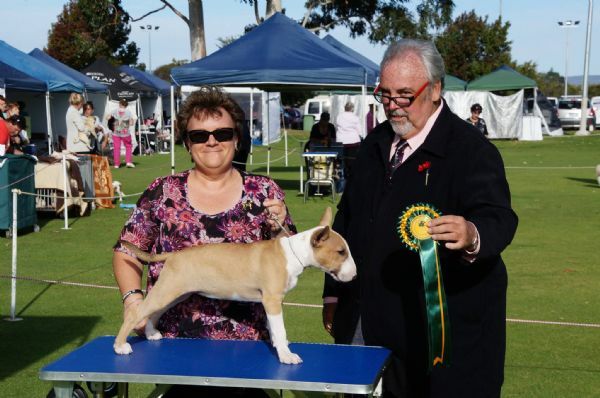 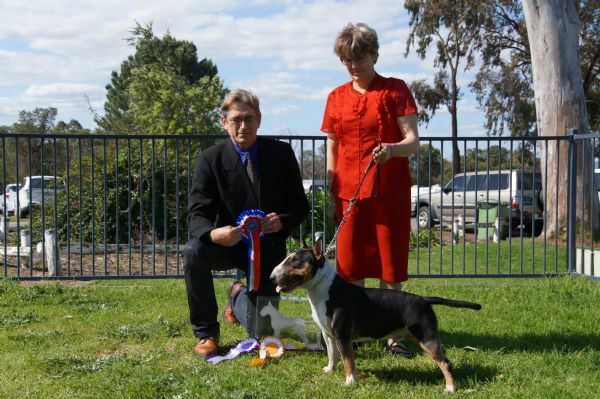 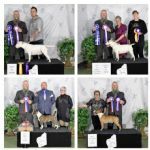 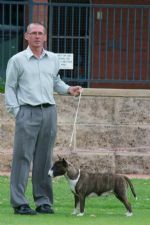 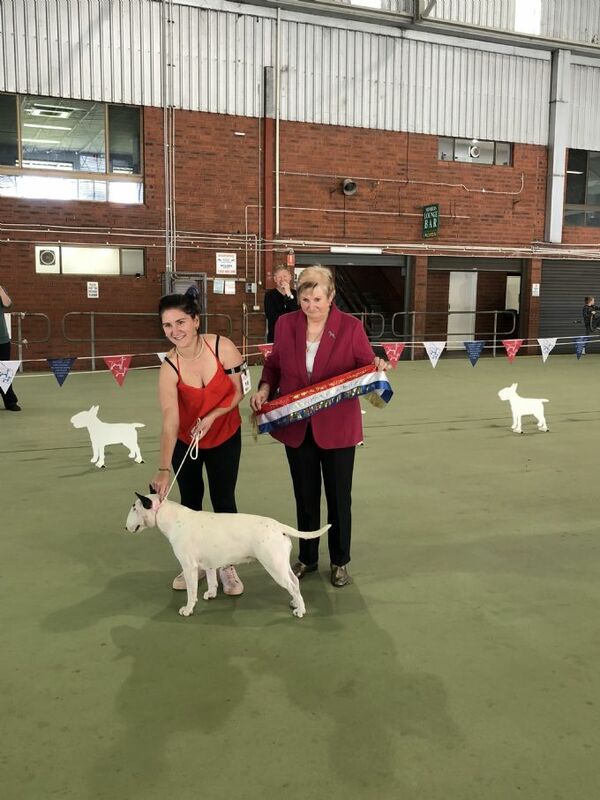 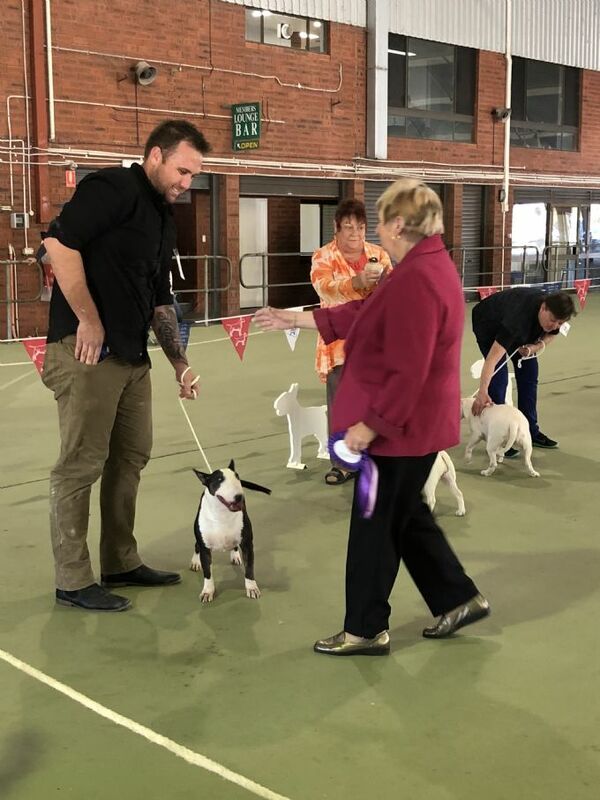 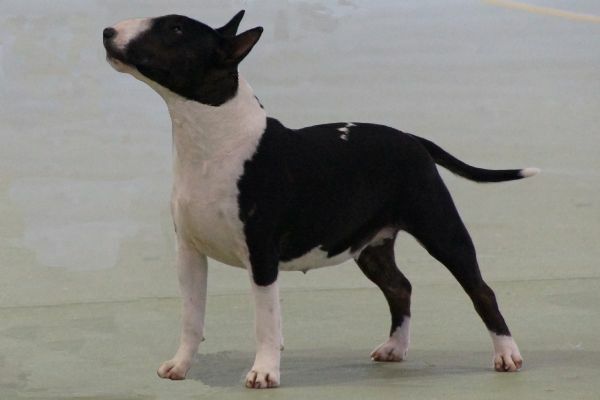 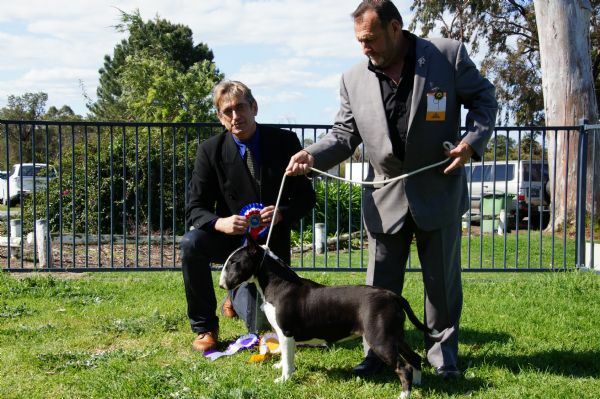 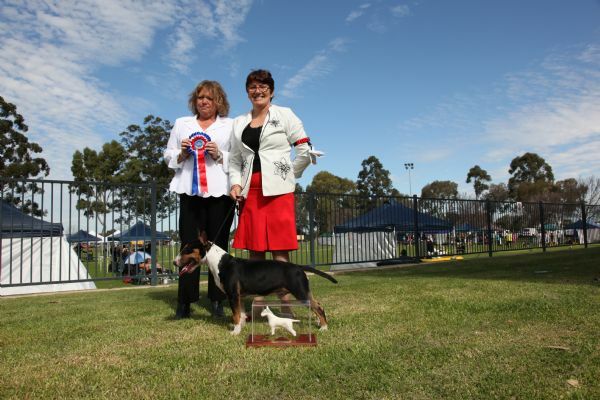 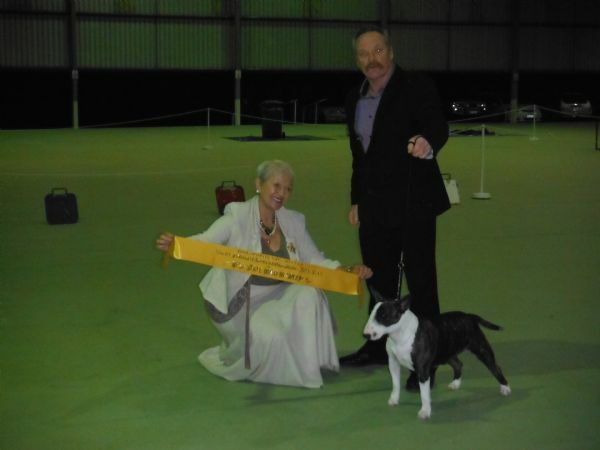 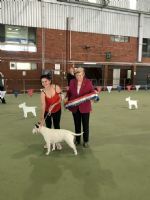 R/BEST IN SHOW - BT AWWALIA MAGIC I AM (Sire: Sup Ch Satori Magic Mike. 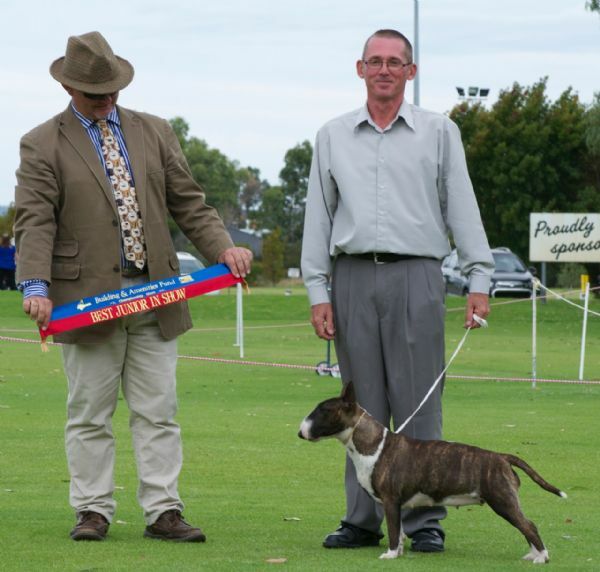 Dam: Robarc Queen of Sheba). 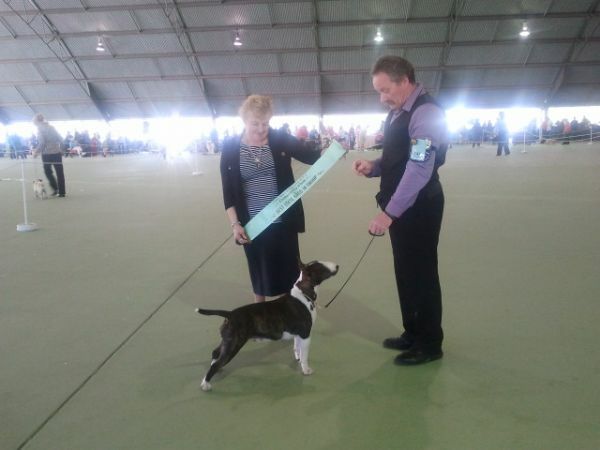 Owned and shown by Louise Davies. 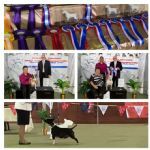 Best Exhibit in Show and Best Puppy in Show. 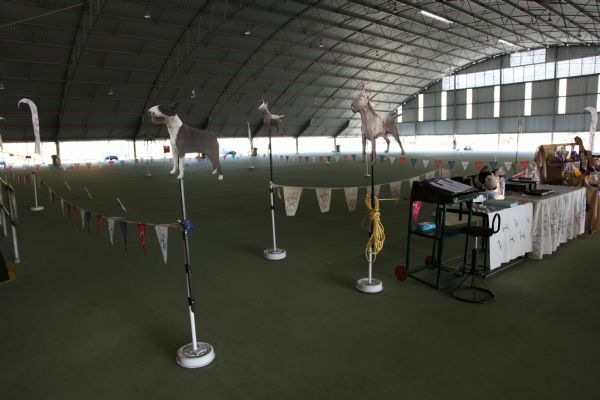 All the Minis had a great night with fantastic results !!! 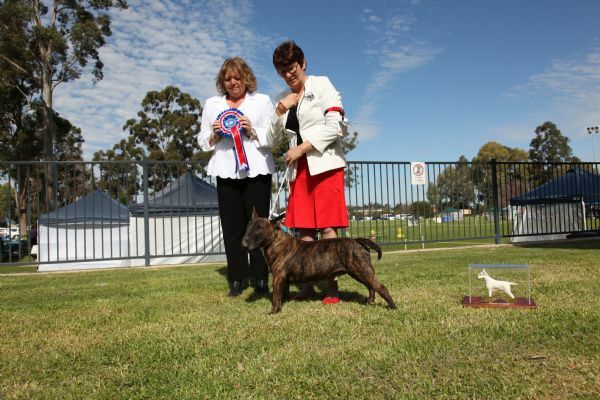 Best of Breed, Best Puppy in Group.